This story is not pretended for professional use, I only want to share about what I feel & what I try during my journey with my family members. Hopefully it will be useful to all the readers or anyone who are interested to travel to cities in Java, Indonesia. I started traveling with airplane from Jakarta to Solo, then go back also by plane from Yogyakarta to Jakarta on mid December 2015. First of all, I’d like to remind myself for always bring food (rice) for the children. According to my experience after we check in at Halim airport, at that time there is no available restaurant in waiting room area. There is only one coffee shop chain that sells snack and beverages. So, I and my children have to fasting for several hours. Fortunately I bring some bread. You can’t depend on the airplane, sometimes they don’t have enough food to sell or the budget airplane doesn’t serve meals. Well, in my opinion traveling between cities in East Java and Central Java nowadays is a big different compare to 8-10 years ago. The traffic is far more crowded, traffic jam is spread anywhere, the street also busy with the trucks, container, and big buses. It is not the same anymore compare with the traffic at this time being to my last visit to my mother hometown in Ponorogo, east Java from Solo, Central Java about 5 years ago. To have a big picture, about 5 years ago, it took around 3 hours from Solo to Ponorogo by car, but now it takes around 4 hours to travel from Solo to Madiun, the neighbour city of Ponorogo. Madiun, is the nearest city about 24 km to Ponorogo. Or it took about four and a half hours from Solo to Ponorogo. Our family travelled with rental car, the routes from Solo- via Sragen-Maospati-then Madiun City. In Madiun, I attended my cousin wedding ceremony. After that, my family went to my grandma and my grandpa cemetery in around Pasar Pon area in Ponorogo, to remember and prayed for them. It took around 30 minutes to travel from Madiun to Ponorogo. Then we visited my grandma & my grandpa home, the historical house for us, the son, the daughter and granddaughter & the grandson. Just for memorizing the good times when our ancestors still alive, remembering the childhood when I traveling there during school break time. This journey, let say a flash back moment is very important. It is to remind us as a human being that our existence in this world because of the God destiny, which we are, determined to be the son, the daughter, the grandson, the granddaughter of certain people, to live and to run the life. Also, to remind me as a person, that live is beautiful, & the world is so wide. To travel means to awake us that Indonesia is a very large country; consist of hundred cities, different types of people ethnics and cultures. Traveling is about contemplating about your life, your existence in the world. Not only to bring happiness, but also to be a better human being in the real life. It is to learn about how the people life, the ordinary life, the struggle, the different profession, the various character. 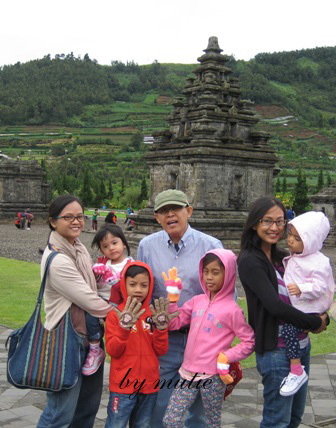 Our family trip continued to Yogyakarta, the special province. 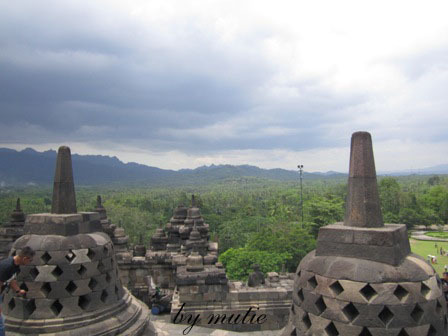 It is located in the heart of Central Java. 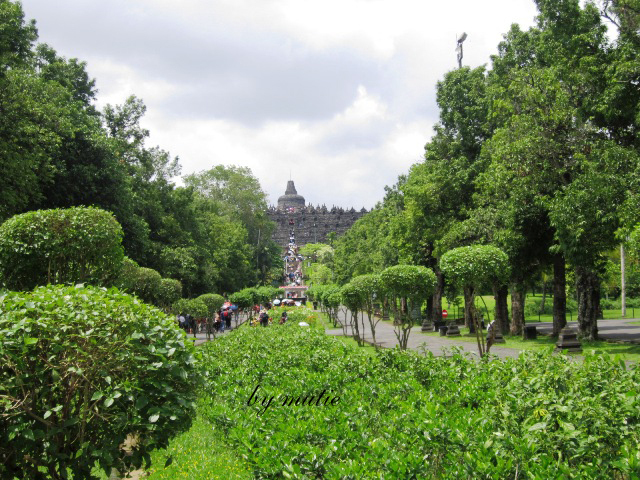 Yogya is an iconic city, with a long history. 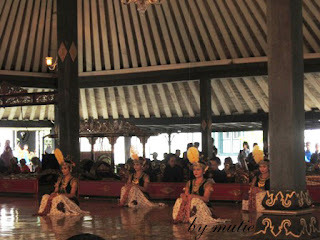 There is “Keraton Yogyakarta” The Yogyakarta Palace, which is one of the main tourist attractions here. The palace had the mystery from the past that is still interesting until now. It is being preserved and the tradition still alive. You had better get a tourist guide if traveling around the palace complex so you can understand the history of the palace and its people properly. If you are lucky, you can see the performance of traditional Javanese dances in the palace that shown around 11 am -1 pm in the afternoon. It’s really entertaining. If you had a very short time in Yogya, you can still try to get a “Delman”, horse ride around Malioboro Street. It’s cost about 100 thousand rupiah for one round. For a shorter route you may pay around 50 thousand rupiah. Remember, when you traveling to Yogya around school break time, at December or around June-July. Malioboro Street and its surrounding area will be very crowded with local tourist, filled of people. There are many batik shops in Malioboro Street. Batik is the traditional art of Indonesia. In Malioboro Street or Beringharjo market, there are so many clothes or handicraft seller. But these are bargain markets, if you are not sure with the price, it’s better to buy from the shops. Several batik shops usually only sell the fashion things. If you have a little time, you had better get in the Mirota shop, it’s the one stop shopping centre; there are many choices of fashion, handicraft, etc. Batik price are very variable, started from 10 thousand rupiah to millions. Now, the Batik shop is developing to some boutique shops, which sell certain batik products with limited numbers of production. The quality is ok, with the price above the average. The historical temple built in around the 8th-9th century. It is always an enjoyable moment while being there. I never feel bored. As I remember it is the fourth times I came here. And I want to come and come again next time. It is always being a nice moment, to see the world miracle, imagine about the life of the people at that time, when the temple is being built. Well to explore Borobudur temple, you need to prepare at least 3 hours, to get around, take pictures, enjoys the moment, to see the beautiful view, to see the mount of Merapi. It cost about 30 thousand rupiah for adult to get to Borobudur temple, and twelve thousand and five hundred Rupiah for kids under 7 years. Then, to exit the temple, you should try to go by “Delman”, horse rides to the car park, through the traditional villages. It cost about 75 thousand rupiah for one ride. Or you may walk in to the exit route, by foot through the handicraft shops. From Yogya, we are heading to Wonosobo, my father’s hometown, through Magelang, via Temanggung city, to see the beautiful scenery of Sindoro Mount and Sumbing Mount. I really like the scenery on the way from Jogjakarta to Wonosobo, there are numerous greenly vegetables on the right side and on the left side along my trip. There are incredible mount views, Sindoro Mount and Sumbing Mount. Even though the beautiful scenery makes my eyes pleased; some of the areas are already planted by the local resident. The plant may be almost hit the top of the hills. Of course it became their source of income, as a farmer. But in the other hand, there is danger behind that; someday it could be a land slide happens. There are some tourist attractions in Wonosobo, all are beautiful. Some interesting tourist spot there, the complex of Arjuna temple, the Sikidang crater, the “Danau telaga warna” or the colourful lake. Dieng plateau is located around 40 km from the heart of Wonosobo city; it took around one hour to reach there by car. The thing that must be carefully watched is the route; the way to the plateau is very narrow, up and down. Driving should be very carefully, and in one spot, it is about 10 metre away on the street that often repaired because of the landslide. So the route has to be through one way alternately. The Arjuna temple is the historical building that has been built hundred years ago. There are so many trumpet flowers around the temple complex. The Sikidang crater contains sulphur. The Sulphur has a strong smell similar like a trash smell. We should get around carefully in this crater area. We are prohibited too close to the sulphur spot. I saw many warning signs there. “Danau Telaga Warna”, the colourful lake is interesting to see too. The colourful lake, actually the green lake, the colour comes from the sulphur not from the plant. Besides the crater, tourists are being entertained by watching owls around the crater area. We can also take pictures together with the Owl. The children are really happy sightseeing the Owls. 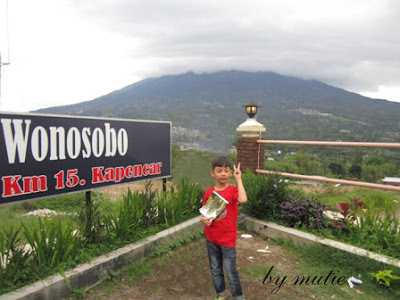 Wonosobo city is well known to be called as “Negeri Di Atas Awan”, the country in the sky because it’s located more than 1700 metre above the sea level. Its temperature is between 15 to 25 Celsius degrees every day. You had better use jacket or sweater, and hand gloves when visiting the Dieng plateau, unless you will be freezing. We can found the traditional market around the Sikidang crater. It sells the sweet potato, a special kind with the red colour. 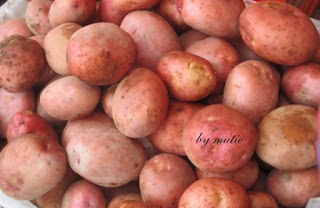 The potato originally planted in Wonosobo area is very popular because of the taste. It is so sweet, crunchy, and very soft. There are many food seller sell French fries and mushroom chips in Dieng area. There is also “Carica”, a special fruit that is similar to papaya but in smaller size. There is a kind of chili, I called it “fat chili” because of the size is quite big compare to regular chili. According to my experience, I only found the fat chili in Wonosobo area. 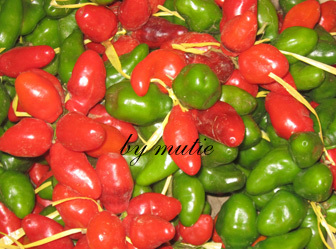 The taste is delicious for making fresh chili sauce. 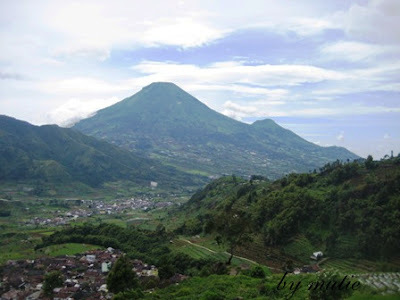 I suggest you to have a tour guide to show and explain the history of Dieng Plateau to understand the history better. We got Mr. Adit, a tour guide, for accompanying in a short trip to Dieng Plateau. He has been managed his tour guide company for about 5 years. 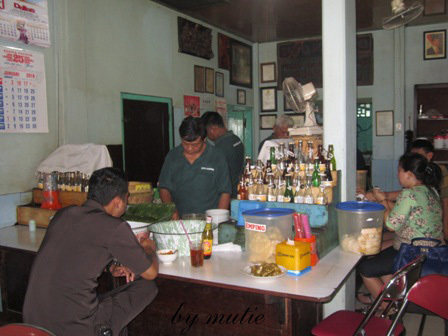 His company, putra wijaya, served tailor made program according to the tourist plan. Of course the rate is negotiable. At Wonosobo, you have a lot of choices to spend nights at some home stay which are managed by local residents around Dieng area, besides star hotels in down town. Traditional food is always worth a try. 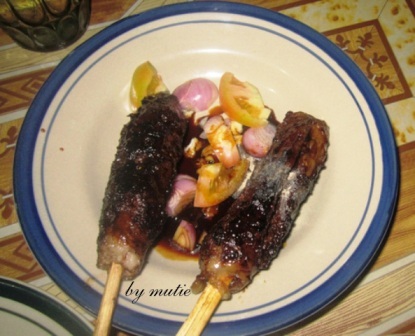 In Solo, I tried “Sate Buntel” at “mbok galak” restaurant, it is a lamb satay. The meat has been chopped and boiled several hours before it served. It is very delicious; the meat is very soft, nice to try. There are also some other menus like “Tongseng”, it is lamb chop with a special recipe, the food is good to eat while still hot. The price is around 40 thousand rupiah for two pieces; it is a big portion for sure. In Madiun, I tried fried chicken at “Ayam goreng Pemuda” restaurant on Haji Agus Salim Street. The fried chicken is very tasty combines with the fresh chili sauce, makes my son want to add more and more. The fried chicken is around 15 thousand rupiah per piece. Madiun also well known for “Nasi Pecel”, it s a white rice mixed with some vegetables such as beans, bean sprouts with the peanut sauce, what a healthy food. The price of “Nasi pecel” is around four until five thousand rupiah per portion. You may try the Chicken Satay speciality from Ponorogo city. It tastes a bit sweet, cooked with local ingredients such as garlic, onion, salt and ketchup. In Yogyakarta, I tried several local foods. 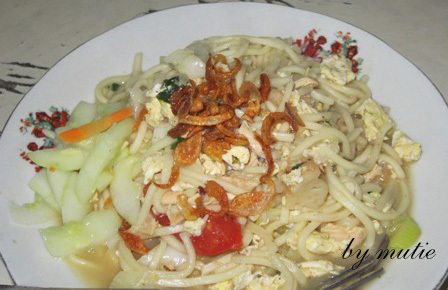 The popular traditional noodle, Bakmi Kadin, is located on Wates street. It serves the fried noodle and boiled noodle, the specialty from Yogya. The taste is yummy. Many tourist come here, you had better to pre order by phone to reserve the menus. If you come during the peak hour in dinner time, you usually have to wait around one hour before the food served. 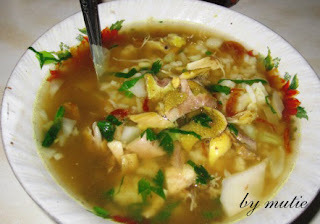 I also try the “Soto Kadipiro”, a well known chicken soto restaurant. The taste is tasty, nice for lunch time. 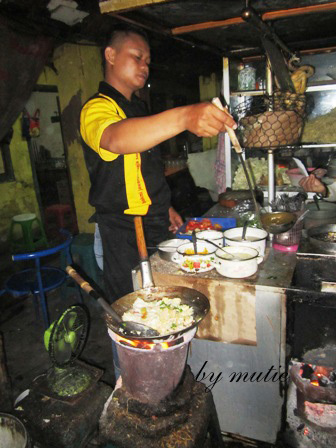 During our journey, we stopped by at “ Kupat Tahu restaurant “, it is a mix of tofu and bean sprout, in Magelang city. 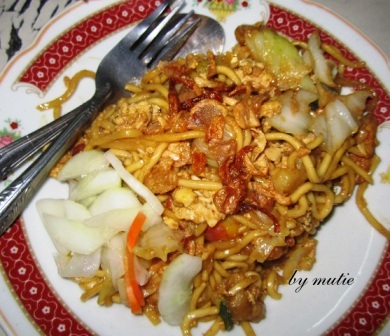 The taste is similar like “Ketoprak” the traditional food of Jakarta, tofu mix with the vegetables with peanut sauce. There are some local food in Wonosobo, for instance special boiled noodles called as “Mie Ongklok”, noodle with certain ingredients. You may try the Chinese food restaurant at Wonosobo city, such as Dieng restaurant and Asia restaurant. Several shops that sell local foods are spread over the city of Wonosobo. While in Yogya, you may try the Mirota Bakery in the afternoon, it sells a set of variety of cakes and bread with good ingredients. Fit for snack times. Traditional food is a must when you are travelling. For me, a trip will be complete if you have something to memorize, don’t forget to take pictures with your family members.